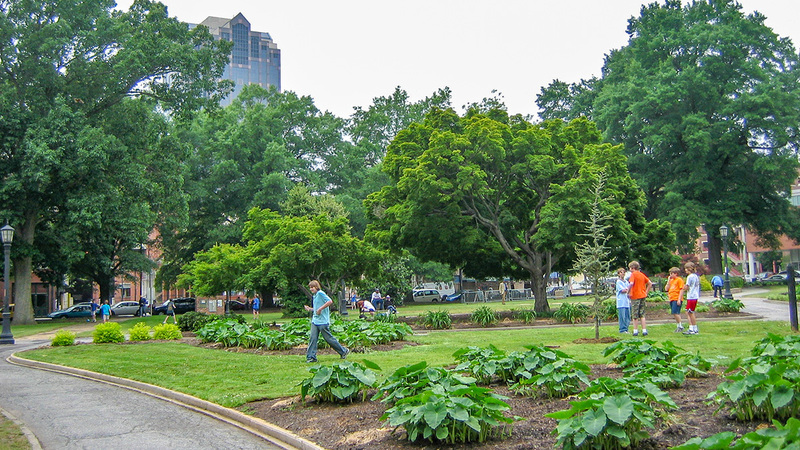 Situated in the southeast quadrant of the city, this four-acre public space was one of the five squares designated as part of William Christmas’ 1792 plan for Raleigh. 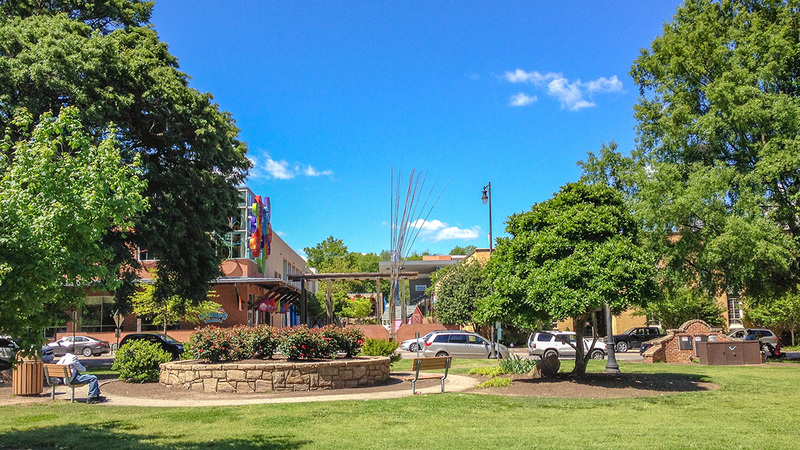 While consistently used as parkland throughout its history, Moore Square’s design changed over time as its surroundings evolved from a quiet residential neighborhood to a bustling commercial district. Initially laid out as a simple open green with a sparse tree canopy, between 1812 and 1879 the landscape was host to several small churches. In 1871 the city planted several stands of oaks as part of a beautification initiative, and by 1899 additional oaks were added, along with a network of diagonal walkways. 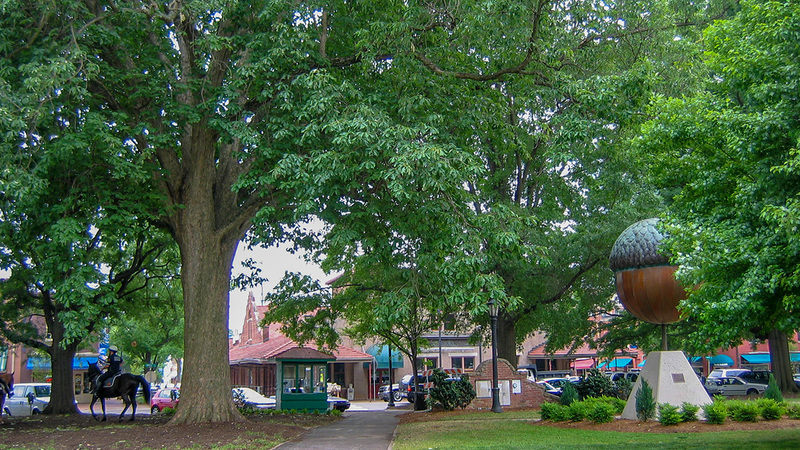 The 1914 opening of City Market opposite the square’s southern edge, and the 1920s development of Hargett Street as “Black Main Street” on its northern edge, established Moore Square as the hub of African American culture in Raleigh for the next several decades. 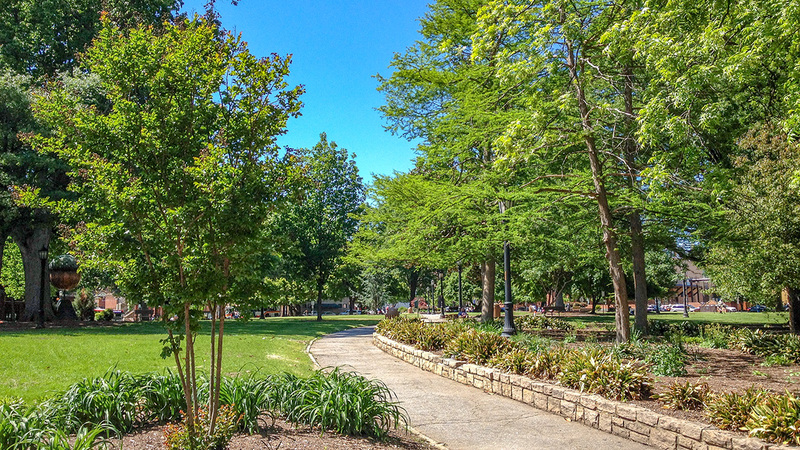 Moore Square continued to be heavily utilized throughout the twentieth century, leading to impromptu additions to the landscape, such as informal meandering paths. In 2014 the firm Sasaki began to redesign and rehabilitate the historic green. 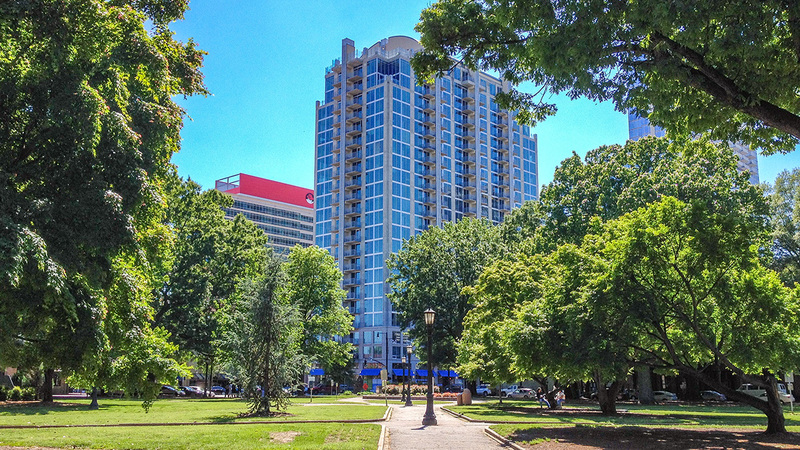 Slated for completion in 2019, the project features a central lawn and a new southern plaza that respect the square’s historic visual and spatial relationships, while accommodating contemporary uses. 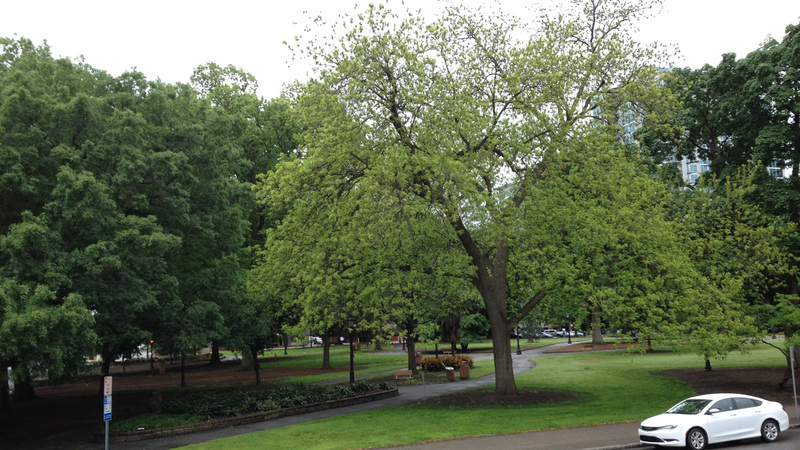 Significantly, the original grand oaks that frame the square will be retained and incorporated into the design. 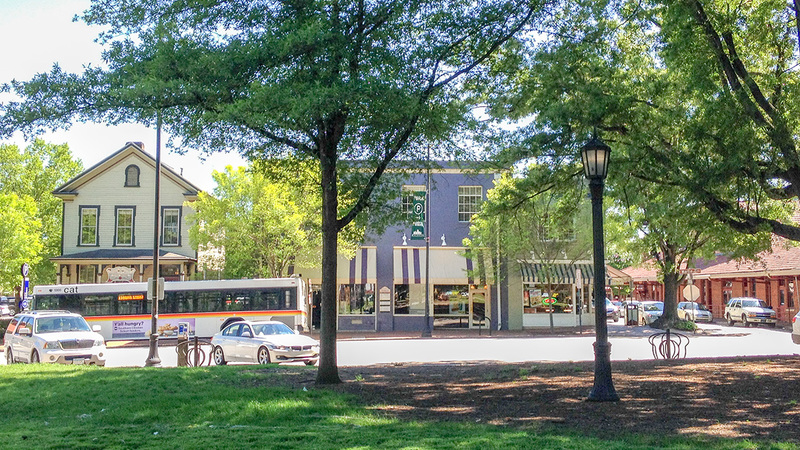 Moore Square and its surroundings were listed in the National Register of Historic Places in 1983 as the Moore Square Historic District.